Barriers which were put in place on Trent Bridge to improve safety during the busy cricket season could be installed for the longer-term. They were initially installed ahead of the cricket season a few weeks ago temporarily – and were planned to be in place until the end of July. Nottingham City Council says it is monitoring how effective they are – and is considering putting “longer-term arrangements” in place. 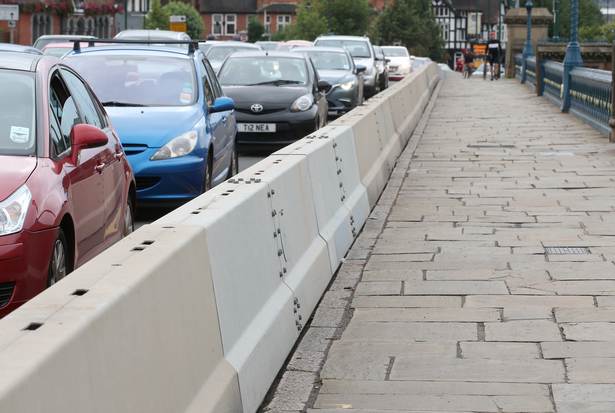 Businesses and shoppers in West Bridgford gave mixed-views on the safety barriers. Fergus Hunter-Spokes, owner of Crumbs Sandwich Bar said: “I didn’t know it was going to happen and I still don’t know what’s going on. But Jake Carruthers, of Long Eaton and owner Arkwright Dry Cleaners, said they were a “good idea”. The 26-year-old said: “It’s such a popular place, especially with the Forest games and the cricket. Ed Sullivan 48, of The Meadows added: “It’s the 21st century and I can see why they have done it. “There’s probably not a big chance of a terror attack happening, but I do know that the football fans when they are out of the City Ground, they are all over the lanes. Nottingham City Council said it was responsible for Trent Bridge – and installed the barriers on “national police advice”. They said: “We allowed them [the national police] to install the temporary barriers that are currently in place.